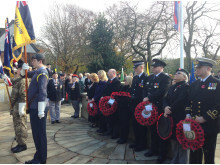 Representatives from the Navy, Army and Royal Air Force joined veterans and civic dignitaries for the parades and services in Rochdale town centre, Heywood, Littleborough, Middleton, Milnrow and Wardle. 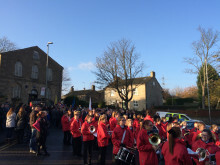 Barely a sound could be heard as the Last Post was played and residents gathered to watch the services observed a two-minute silence at 11am. 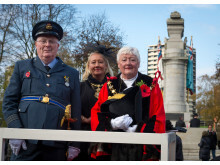 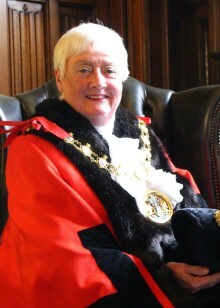 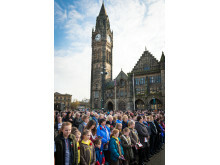 At the 11th hour of the 11th day of the 11th month (Tuesday 11 November) the Mayor, Councillor Carol Wardle, will lead a two minute silence, with prayers given by Reverend Canon Shackleton, at the town’s war memorial opposite the Rochdale Town Hall. 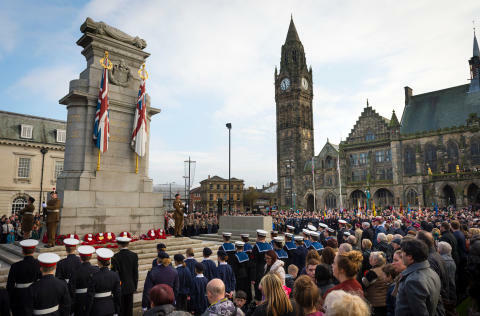 NEW: Live broadcast quality interviews now available via ISDN. 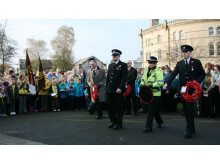 Our ISDN number is 01706 341760. 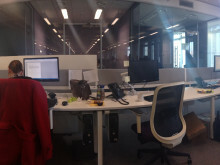 To set up an interview, please call the Communications Team on 01706 926002. 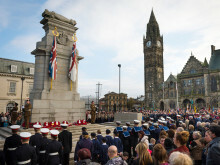 Thousands attended the service at Rochdale Cenotaph. 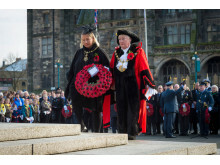 The Mayor Councillor Carol Wardle (right) lays a wreath with Mayoress Mrs Beverley Place. 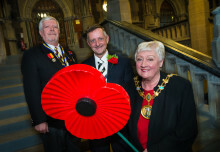 David Forbes, President of Rochdale Royal British Legion, Mayoress Mrs Beverley Place and Mayor of Rochdale Carol Wardle. 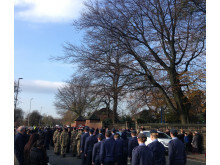 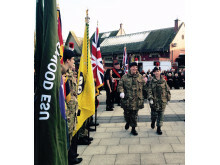 The Remembrance Sunday parade in Heywood. 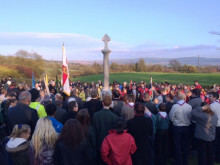 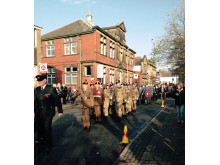 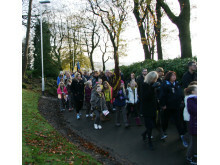 Hundreds attended the parade and service in Littleborough.